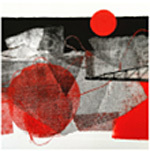 Ground Zero Printmakers Society is a Victoria based arts organization formed as a not-for-profit in1989 to support the practice and dissemination of printmaking. GZPS maintains a printmaking workshop and informal exhibition space to teach, promote, and develop the craft of printmaking and to encourage innovative and alternative print based art practice. We welcome as members those who use the GZPS Open Studio facilities as well as those working in their regional or home studio. Individually GZPS members are professional artists with intermittent or continuous involvement in printmaking, students building portfolios for graduate studies, novices wanting to learn printmaking techniques and individuals who appreciate current printmaking practice. At monthly meetings members share recent work, discuss current print related issues, formulate professional and community projects, and offer hands on demonstrations open to the public. We support, collaborate, and exhibit as a group with artist-printmakers nationally and internationally, reaching a diverse audience.